When decorating, preperation is key. Putties and fillers are perfect for filling in any cracks or holes, to ensure it is ready for the main event. They make DIY easy, and at Sydenhams, we want to help your project run as smoothly as possibly. Putties are a reliable way to seal your windows or doors, inside and out, before you start your decorating process. 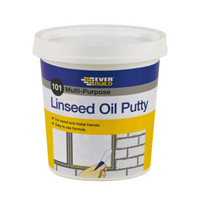 This will keep the warmth in, the damp out, and will ensure you create the perfect result when decorating. To see our range please come into branch. 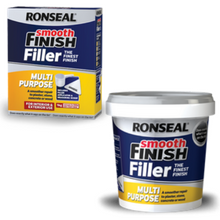 With a filler for every project- big or small, interior or exterior. Our range includes, Ronseal, Toupret and Mangers, and are high performance products, with powders and pre-mix in a variety of sizes. Perfect to prepare your surface for the next stage.